Trucking accidents present special consideration that our trucking accident attorneys are familiar with. We help determine whether federal and state safety rules were followed, whether federal regulations apply and were followed, whether company rules and procedures were followed and whether there were other preventable events that contributed to cause the crash. The force and violence of a truck collision with a passenger vehicle can change your life in an instant. Furthermore, the damages and injuries in an accident between a car and a tractor-trailer can be catastrophic. A fully loaded tractor trailer can weigh up to 80,000 pounds. Most standard passenger vehicles on the road today only weigh between 2,000 and 5,000 pounds. You do the math. Occupants of passenger vehicles consequently have a severe disadvantage against the sheer size and momentum of a large semi. If you have been injured in a crash with an 18-wheeler or other commercial motor vehicle, Call us. Our attorneys will first conduct a thorough investigation of your accident. We examine what happened and consequently who should be held accountable. We work with top experts to reconstruct the accident and demonstrate the causes. Your job, above all, is to get better and focus on recovery from your injuries. Our job is to fight for the fair compensation that you deserve. We understand, and insurance companies know, that your life has been turned upside down due to the accident. Those companies also know that you need money now for a mountain of unexpected expenses. Medical bills, rehabilitation, and lost wages are just the start. A quick settlement, far below what you need and what you deserve, will only cause more pain down the road. We understand that the full extent of such catastrophic injuries take time to fully show. Our attorneys understand commercial trucking insurance policies. We likewise know the differences from standard passenger vehicle policies. Several parties may be involved, while additional complex issues arise where the driver was an independent contract or instead of an employee of a company. We are prepared to hold all responsible parties accountable when you get hurt. Trucking accidents happen on the road, however the story of a crash usually begins long before anyone takes the wheel. Trucking companies must follow a detailed body of federal and state laws and regulations. The Federal Motor Carrier Safety Regulations (FMCSR) govern commercial trucking companies and their employees. The State of Colorado likewise enforces certain commercial vehicle regulations depending on the nature of the commercial carrier involved. 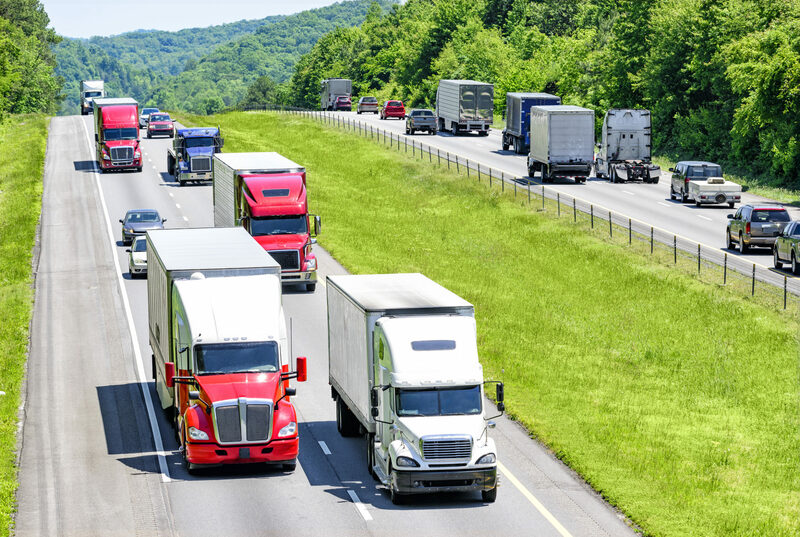 These laws seek to ensure the utmost safety in all aspects of commercial trucking. This includes the employers, the drivers they hire, and the vehicles they drive. A company must know and abide by all of the rules. The company likewise must make sure that all drivers and employees do the same. These rules are vast and detailed, and above all are fair. The rules seek to avoid a collision between an 80,000-pound truck and a 2,000-pound car. Driving a semi is a unique situation, and drivers holding a Commercial Driver License (CDL) are consequently held to a higher standard. When those drivers violate the laws that keep us all safe on the road, our attorneys work to hold those drivers accountable. Unfortunately, some trucking companies and drivers decide to cut corners and avoid their safety obligations. When you get hurt due to this negligence, we work to hold responsible parties accountable. We fight to get you the compensation you deserve.